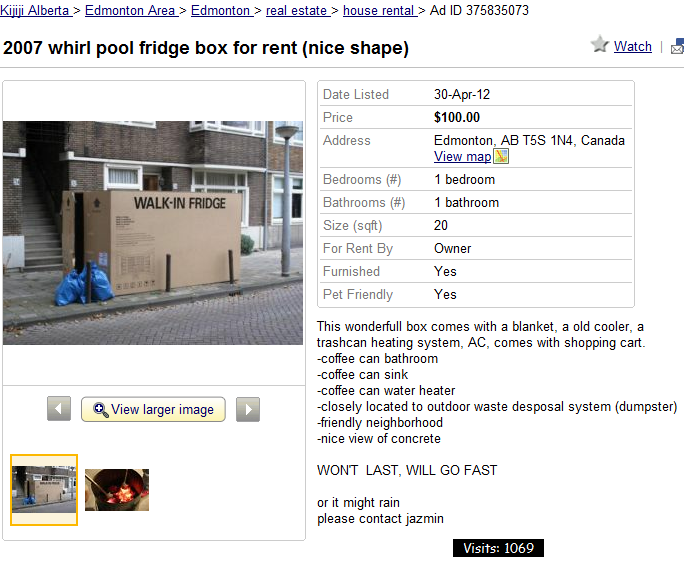 Stay classy, Edmonton. This box sounds like an awesome deal, except it won't keep all the mosquitoes out. Come to think of it -- am I thinking of Winnipeg? Geography was never my strong suit. You know, for the same price in Toronto, all you could get is a used Burger King Whopper box. 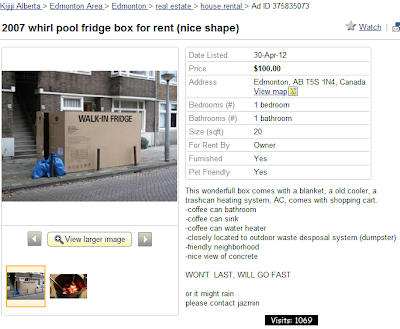 This wonderfull box comes with a blanket, a old cooler, a trashcan heating system, AC, comes with shopping cart. September 27, 2016 at 12:54 PM This comment has been removed by a blog administrator.